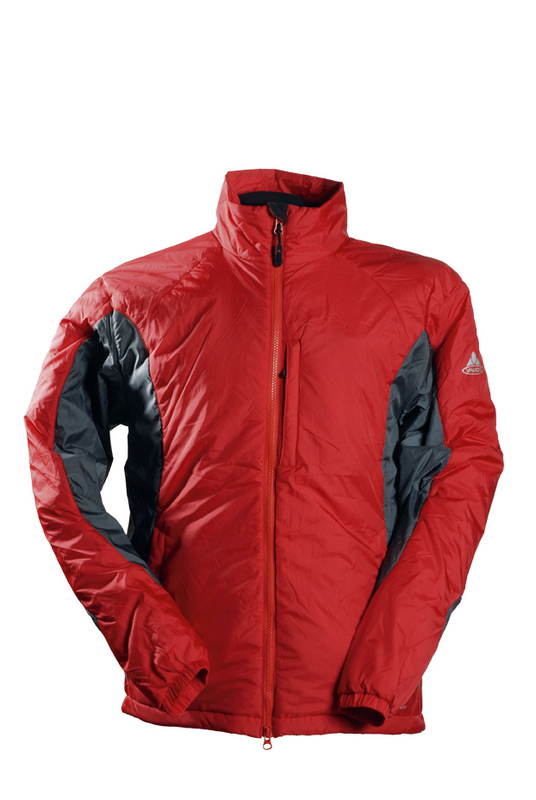 This insulated jacket weighs 524g; all the pockets are external with zips; the hem adjusts with a drawcord while the cuffs are elasticated; the collar is lined and the zip has a chinguard; it comes with a smallish stuffsack. But the price is creeping up for what you get; features are okay but it’s still rather bland with little to make it stand out; no hood or neck cinch. A high price for a basic design.